Mark has resided in Rockwall, TX and the Greater Lake Ray Hubbard area for the last 32 years. 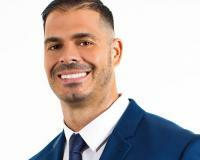 Mark decided to continue his love for helping and connecting to people by beginning a career in real estate. He spent the first 10 years of his career in church ministry and the last 10 years as a CrossFit Coach and Owner of CrossFit Rowlett. Mark has a passion to build relationships and help people reach their goals. Mark will bring that same passion to help you find your perfect home and he understands the importance of communicating with you throughout the entire transaction. Mark is a proud father to Paxton. In his free time, he loves to workout, attend concerts, travel and fly fish.